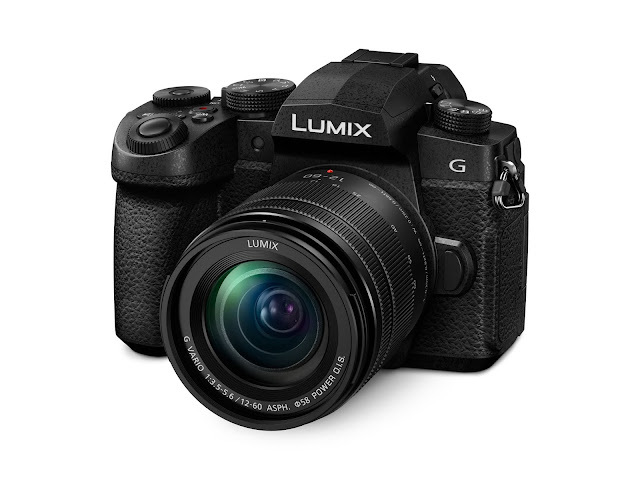 External components of the LUMIX G95 have additionally been redesigned to enhance intuitive one-hand operation and quickly responds to the photographer's intention. It integrates an OLED LVF (Live View Finder) with 2360K-dot high resolution in approximately 1.48x / 0.74x (35mm camera equivalent) magnification capability. The free-angle large 3.0-inch LCD rear monitor with approximately 1240K-dot resolution provides a touch control system, making shooting at high and low angles easier. The camera's battery can be recharged either via AC or USB according to the users' convenience. The Battery Grip DMW-BGG1 (sold separately) empowers comfortable, longer-time shooting. The LUMIX G95 has been redesigned externally for intuitive one-hand operation that quickly responds to the photographer's intention. Three newly-added buttons located in line on the top let the user adjust exposure, ISO and white balance. Buttons on the back are positioned centering on the wheel dial to provide quick access to the target item in both shooting and playback. The front/rear dual dial system with dial operation switch enables direct setting. The grip is also redesigned for a more stable and comfortable hold. Thanks to 4K technology, users can engage 4K PHOTO to capture fleeting photo opportunities at 30 fps by extracting the frame with the best timing from a 4K burst file to save as a 8-megapixel equivalent photo. Choosing the best shot out of hundreds of frames recorded in 4K PHOTO is now easier with the newly added Auto Marking function. Auto Marking lets you jump to the nearest frame where differences are obvious between consecutive frames to minimize the time it would otherwise take to choose the best shot. Sequence Composition makes it possible to create a stromotion image by synthesizing multiple images shot at a fixed frame with 4K PHOTO. A unique image reflecting the subject's motion can easily be produced in-camera without needing a special retouching process. Plus, the LUMIX G95 enables 4K Live Cropping in video recording that realizes stable panning or zooming in video recording. In panning shots, the user can simply set the viewing angle to start and end for smooth panning without using any special equipment, such as a slider. In zooming, you can set the after-zoomed viewing angle first, so that the subject is perfectly framed. Thanks to digital operation, zooming imagery is smooth because it does not physically move the zoom lens. The camera's battery can be recharged either via AC or USB according to the user's convenience.